Confession time: I love reading/watching/listening to self-help content. I am constantly looking for new ways to approach the big areas of my life (relationships, career/school, etc) and get excited when I find something that speaks to me and I can actually use. Now, there are a lot of woo woo things out there that are rather hokey and that I don't give much credence to. For example, I took a month long meditation class after hearing and reading about how essential and transformative a practice like that can be. Yet, it just wasn't for me. I didn't find myself deriving any benefit from it, and it actually was more of a source of frustration than inspiration. There can often be a negative stigma associated with the "self-help" industry. I prefer to think of it as strategy and motivation and a way to continually improve your processes and, hence, your life. Today, I've collected my favorite (free!) resources for you to check out. While they may not all speak to you (like me and meditation), I hope that some will and that you will seek out what works for you! So, I've stumbled on Marie Forleo before, but wasn't really drawn to her content util recently. While I am not a fan of the idea of "manifesting" that she sometimes promotes, I do love some of the tactical advice she shares on a variety of topics including finding clarity, passion & purpose, grow your wealth, and strengthen your mind & soul. She interviews top thought leaders and each episode has a dash of (sometimes charming, sometimes corny) humor thrown in. I really love the "is the jar full" analogy in this episode. Jess is another one who I've come across before but only recently gotten into. She's currently living and traveling through Europe so there aren't as frequent updates to her YouTube channel, but the archives of her podcast are so good! Like Marie, Jess conducts interviews that focus on different topics and you can find an episode for everything under the sun. She has a really comprehensive search tool on her site so get ready to spend hours going down the rabbit hole! Also, she does some fun vlogs and I really enjoyed her house tour before she moved. I found out about these ladies through a Career Contessa webinar and love what they have to say. They've worked with top companies (like Airbnb, LinkedIn, YouTube...) to help employees who are struggling with burnout. Don't worry if your employer isn't making use of their services, they have tons of resources on their site and some videos (though they haven't updated in awhile) to help you better define success. And on the topic of success, here's a video where they discuss the "myths" of success. I saved my absolute favorite for last! Jodie is a co-founder of Shoes of Prey and has such an amazing personality and outlook that she shares through her YouTube channel. I seriously cannot reccommend her videos enough and completely encourage binge watching all of them. Her catchphrase is "do everything before you're ready" and I wholeheartedly agree with that advice. Who are you inspired by? 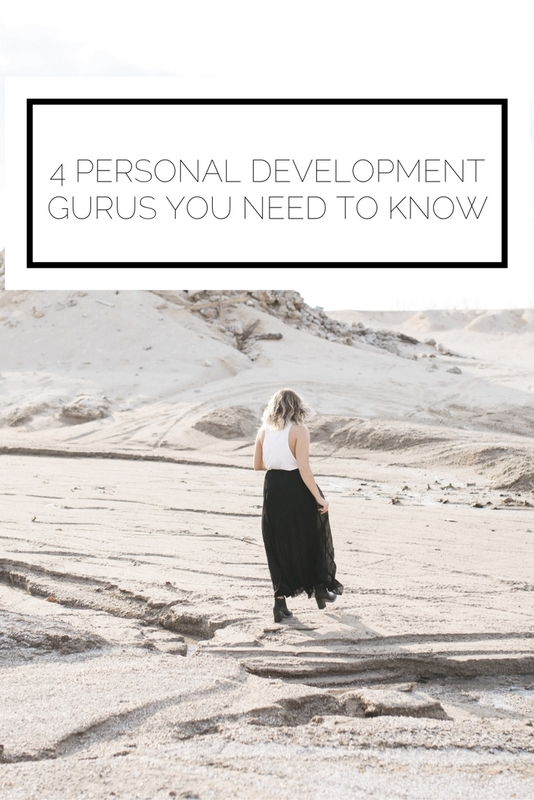 Do you have any personal development gurus you turn to? I'd love to learn about more!